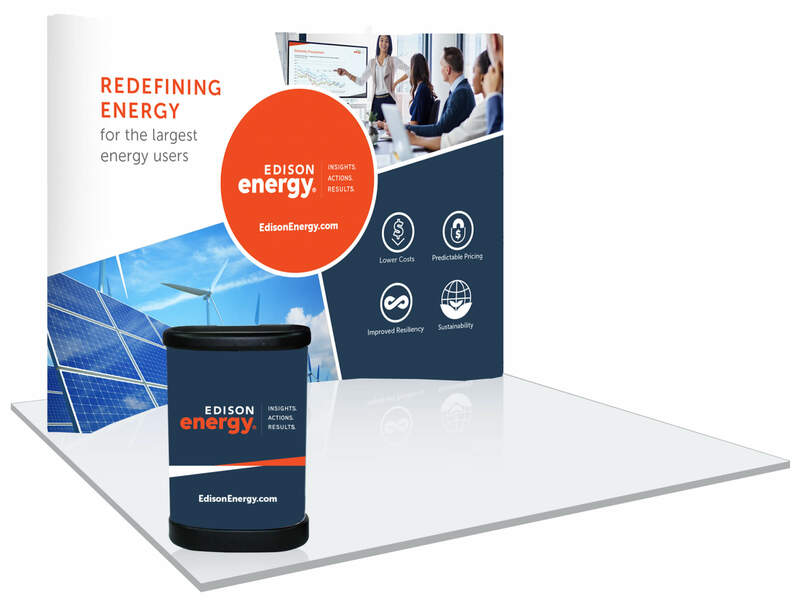 The horizon line graphic represents Edison Energy and its clients, working together in synergy. The triangles suggest a horizon line of a calm sea. 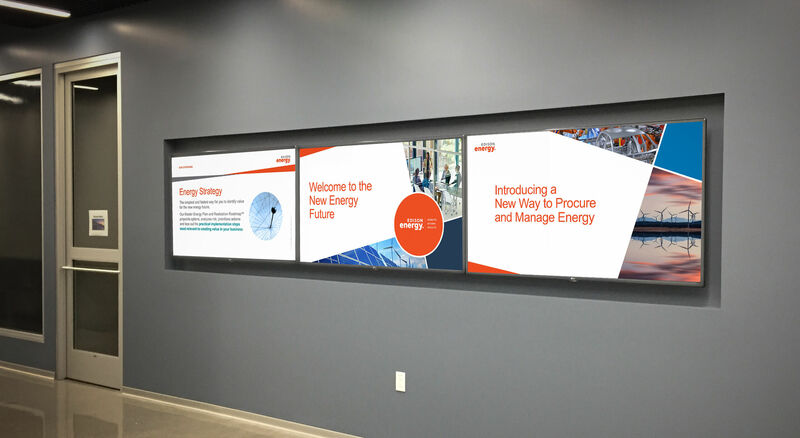 The orange triangle represents Edison Energy in a guiding/ leadership position, plotting the course and guiding clients through safe passageways — leading them safely to their destination. 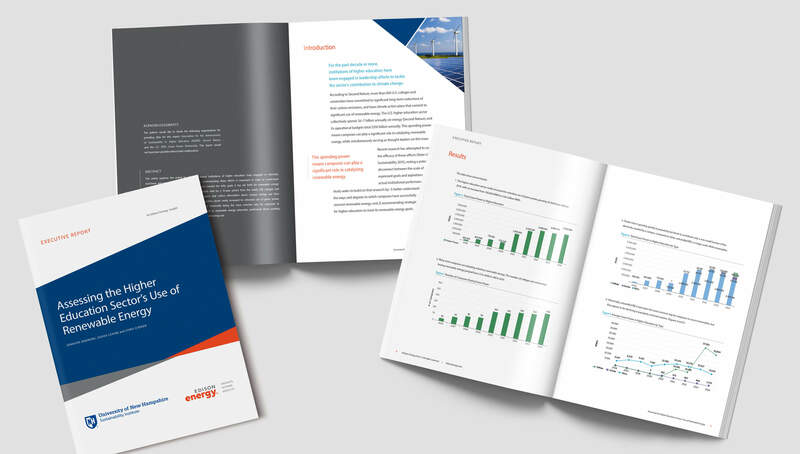 The triangle shapes change in size, depending on the situation in which they are used — much like Edison’s solutions to client challenges — but the horizon line is always constant. 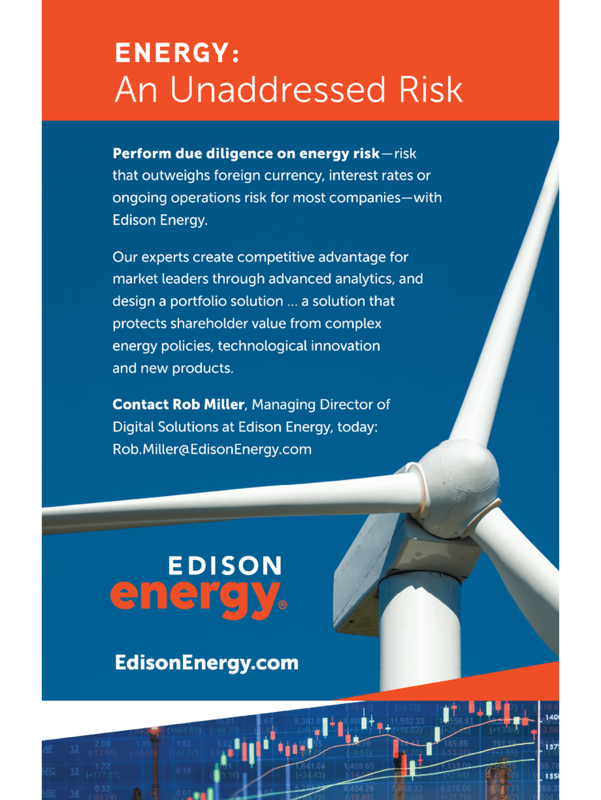 The quadrant and circle graphic is inspired by an old marine pilot map, showing four directions and a compass, evoking Edison Energy’s strategic role with clients. 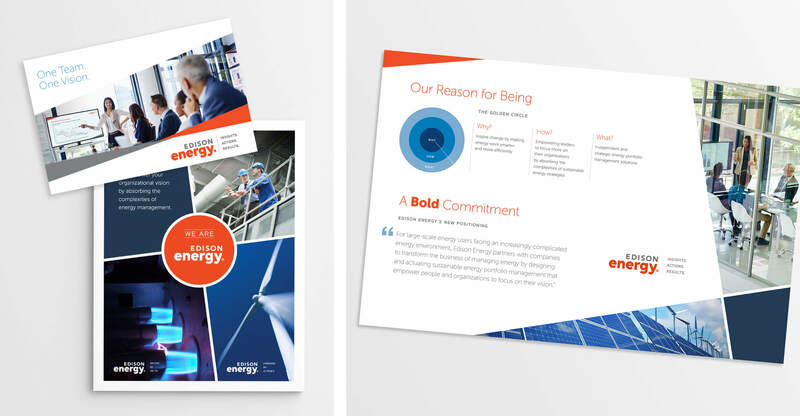 These elements are used throughout all Edison Energy marketing materials, providing a cohesive, modern, energetic look — backed by a strong brand concept. After the new visual identity system was selected, we “reskinned” the original website, redesigning all of the graphic elements, but keeping the site structure mostly the same with the plan to build out the site at a later date. The video at the top of the home page changed, providing new imagery each time a visitor came to the site. Posts from the News, Events or Blog sections were automatically added to relevant pages on the site by using appropriate tags, which curated content for visitors to get access to at-a-glance. The site has since been replaced, but you can see screen grabs and a video below. 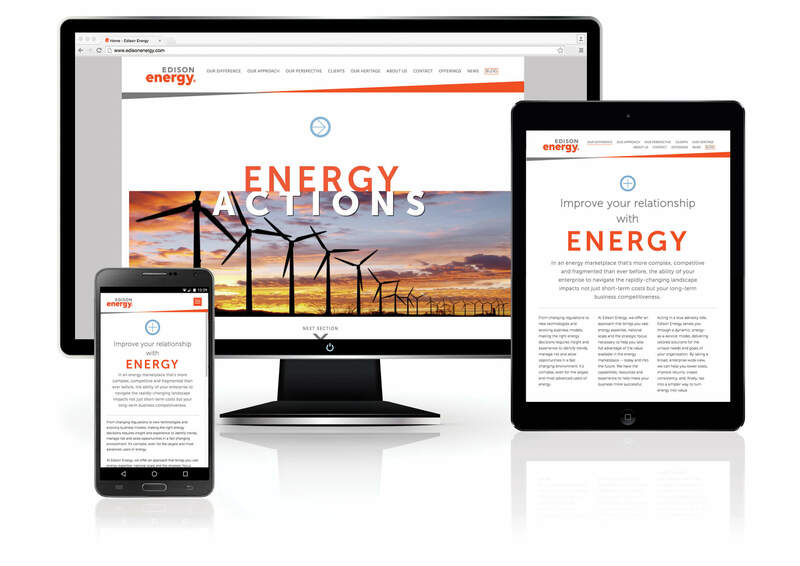 Here’s a peek at the website we built for Edison Energy to launch the company. The original site was one page, that linked dynamically from section to section, with a blog and contact page. 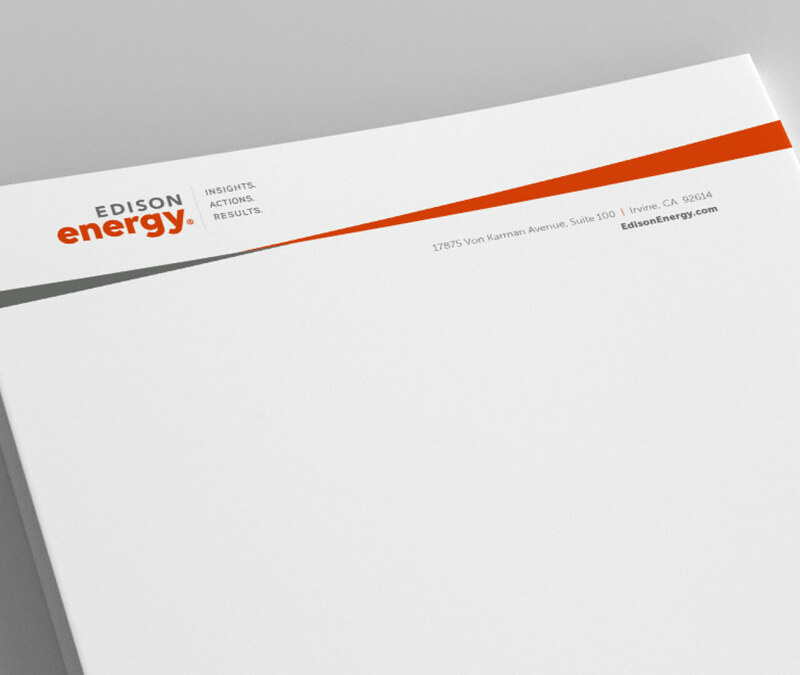 After about a year, Edison Energy got a new logo and refined its positioning. DoubleTake was charged with creating a new visual identity system. 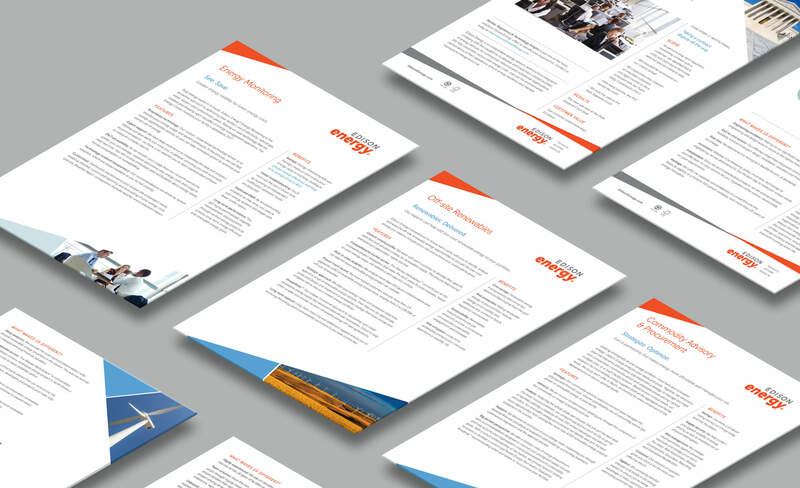 We “reskinned” the existing website as an interim tactic, adding an Offerings section that integrated with the Blog and News sections to display relevant case studies and posts on each Offerings page. 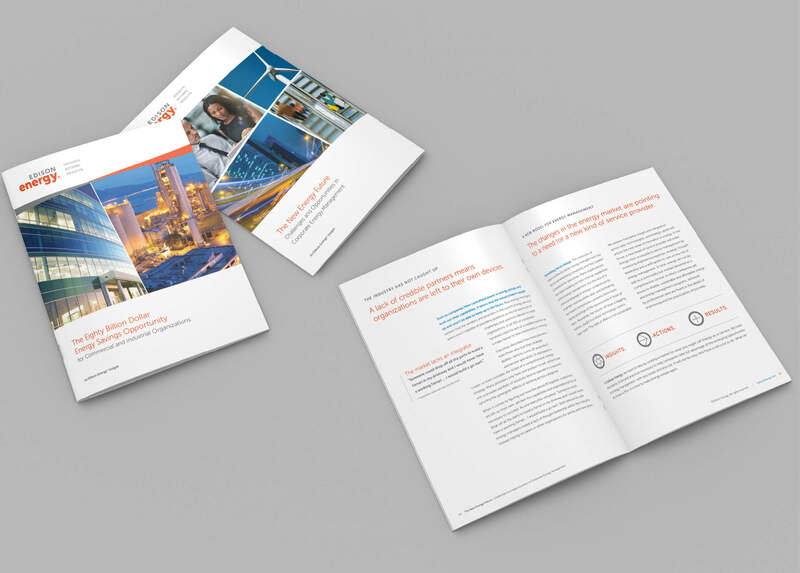 Webinars, White Papers and Executive Reports were gated and the contact forms fed into the company’s MailChimp account, which tracked each contact’s interests. 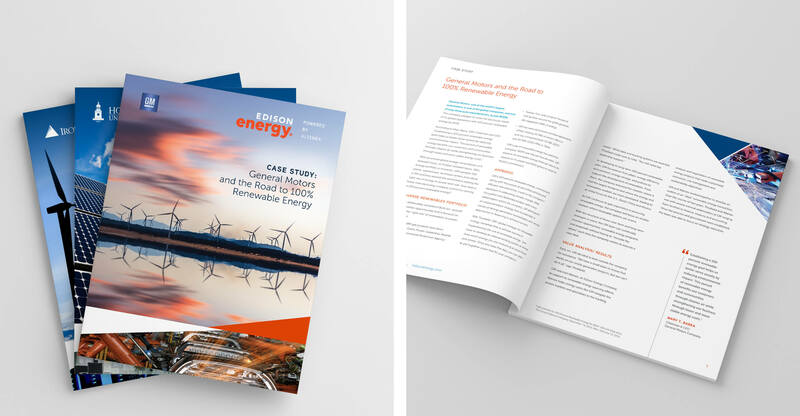 Edison Energy marketing materials include everything from white papers to executive reports, data sheets, case studies, flip books and an internal brochure that kicked off the rebranding campaign and explained the company’s new positioning. 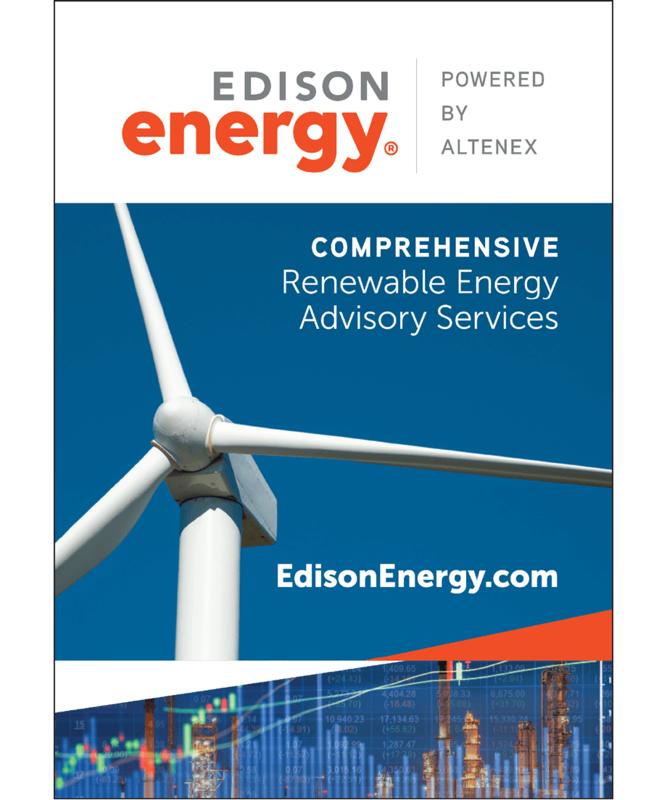 Edison Energy Google advertising has included retargeting ads, driving traffic to the website to download a white paper and adding contacts to its database. 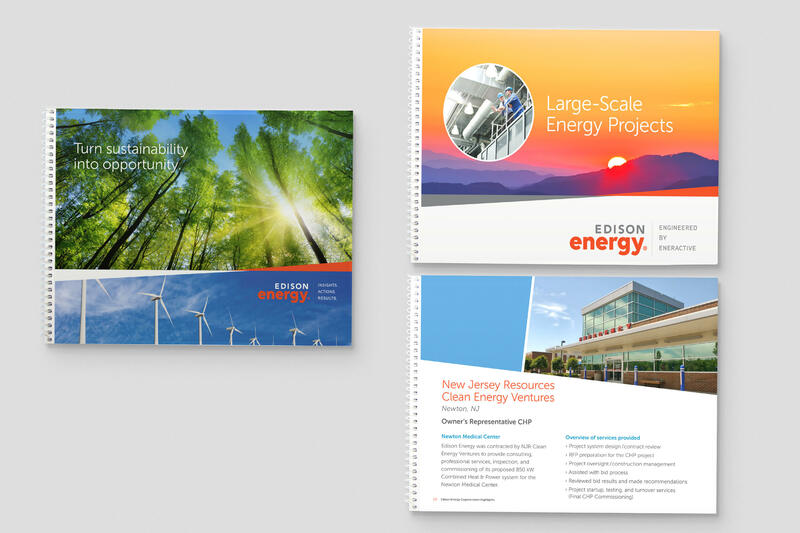 Here are some examples of print advertisements for event programs. 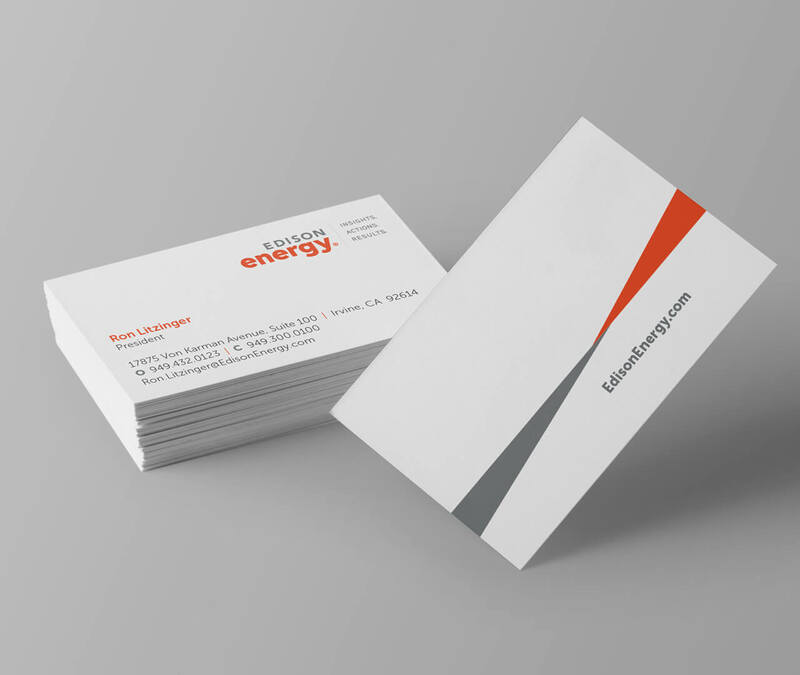 Want to reenergize your brand?